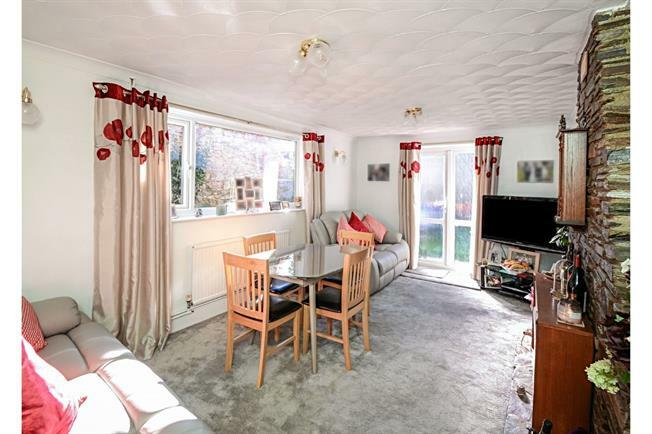 4 Bedroom Maisonette For Sale in Newton Abbot for Offers in excess of £180,000. A spacious maisonette which offers plenty of accommodation and is close to the shops and train station. Comprising entrance hall, kitchen, inner lobby and lounge with double doors opening onto the garden. Upstairs are four bedrooms a family bathroom and separate wc. Outside is a delightful courtyard garden with rear access and a garage. The property benefits from partly uPVC double glazed and gas central heating. UPVC double glazed door side opening onto the garden. UPVC double double glazed door, opening onto the garden. Double glazed uPVC window facing the side. Radiator and gas fire, original coving. Double glazed uPVC window with obscure glass facing the side. Tiled walls. Low level WC, panelled bath, shower over bath, pedestal sink.